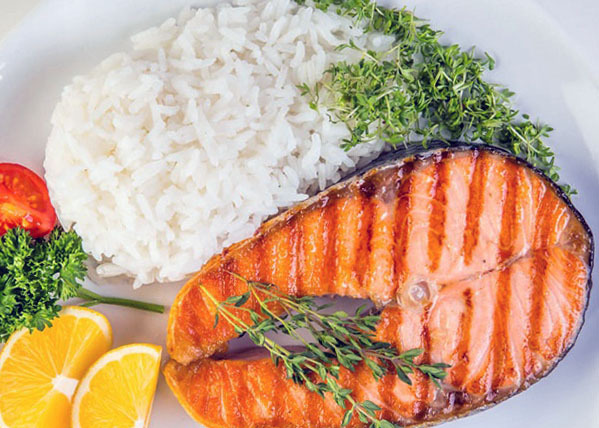 The nutritional value of fish is very high, but the feeling of fullness it brings for a while. Therefore, it is usually served with a rather hearty side dishes that complement and decorate the dish. Potatoes cooked in various ways, belongs to the most popular, perhaps, as a side dish for fish dishes. Its taste goes well with taste of the fish. As a rule, when cooking potatoes for a side dish for fish are guided by the rule of "like drawn to like": on a side dish to grilled fish, usually served roasted potatoes (you can deep fry it, good for fish and potatoes), boiled – boiled or baked, to the products from minced fish (meatballs, chicken, Cetelem, etc.) and mashed potatoes. However, valid and the deviation from this rule. A good addition to potato garnish for fish serve fresh vegetables – cucumbers, tomatoes, Bulgarian pepper and greens. 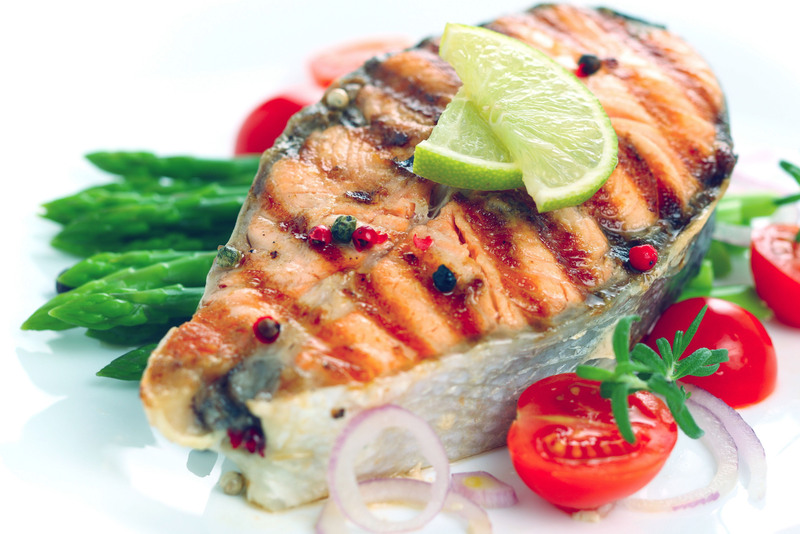 Fish dishes go perfectly with a variety of salads from fresh vegetables. This option is often preferred by people, counting calories and watching their weight. One of the best options of easy side dishes for fish are considered green salads, dressed with oil, vinegar or lemon juice. 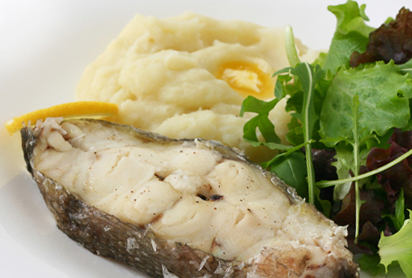 A popular option is fish with a side dish of spinach or sorrel salads. Good as "accompaniment" to fish dishes and marinated vegetables their sour taste perfectly enriches the taste of fish. It can be salted or pickled cucumbers or squash, olives, capers and so on. Vegetable side dishes for fish is often used with onions – fresh, cut into rings or half rings, or pickled. Often served with fish and side dishes of steamed, baked, grilled or steamed vegetables. In such cases, to prepare the garnish is typically used several kinds of vegetables at once – for example, zucchini, eggplant, tomatoes and onions. The principle of choice of method of cooking vegetables is the same as in the case of potatoes – side dish for fried fish it is better to choose baked or grilled vegetables, to cooked – steamed or braised. 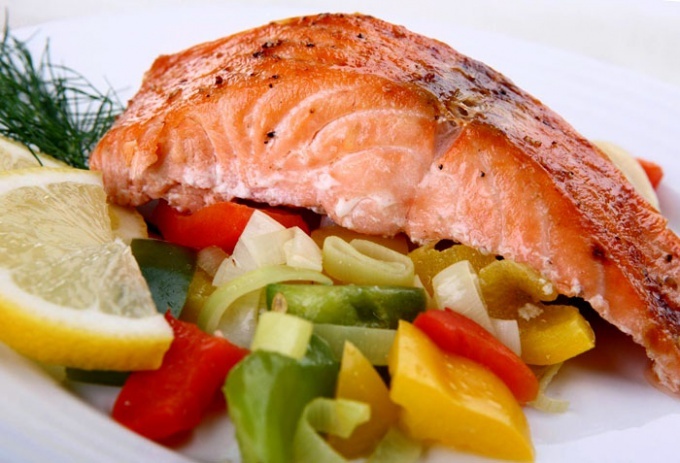 If you bake fish in the oven – chopped vegetables can be baked along with it. Caution should be used in side dishes for fish cabbage: this vegetable roast can be called almost universal side dishes, but for fish, this option is not very suitable. Fish pasta is one of the least successful combinations – this heavy side dish in no way enriches the taste of the fish, and they taste each other very well. So the pasta with fish is usually not cooked. Most cereals are also not very well with fish. The exception is rice crispies – it is possible to prepare a side dish to grilled fish and fish cooked in other types. A side dish of rice to fish is also possible to "enrich" vegetables. Also in the list of cereals that are suitable for a side dish for fish, including buckwheat. It is often served with boiled or steamed fish, as well as dishes from minced fish. Long been known that a variety of sauces give even the most ordinary dishes a tangy and unusual taste. 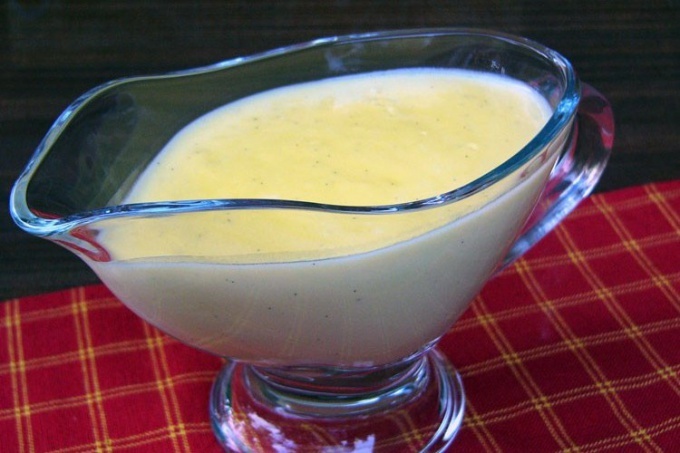 Creamy mustard sauce, with a delicate, slightly spicy taste will be a great addition to meat and fish dishes. Heat in a small saucepan or a deep bowl of broth. The broth can be used as pork and beef. You can even use chicken broth. It all depends on your personal taste preferences and the availability of certain products on hand. You can also replace the broth with water, but the taste of the sauce will not be as intense. Pour in the broth, cream thin stream, carefully all mixing. In a saucepan, add also two tablespoons of mustard and lemon juice. If desired, add yellow mustard seeds. Mix well. Stew the sauce on low heat for 5 minutes. Salt and pepper according to your taste. Can add the sauce of your favorite spices. Remove the pan from the heat and add one tablespoon of olive oil. Very good mix, gently whisking with a fork. Creamy mustard sauce is ready. Bon appetit! Serve this sauce as a complement to a variety of second courses. Also under the creamy mustard sauce you can cook baked chicken or salmon, green beans and other kinds of meat, fish and poultry and vegetables. Don't be afraid to experiment. Try to add in sauce of fresh thyme and finely chopped green onions. You can crumble the parsley and dill. Sometimes the cream in this sauce, substitute low-fat mayonnaise. If you wish to try to cook this option creamy mustard sauce and choose what you like best. To get lemon juice use the following advice. First, wash the lemon. Then place it in boiling water for 1-2 minutes, puncture the skin with a fork in several places. Then, roll the lemon in different directions on a cutting Board. Now cut the citrus into two halves and press the juice by squeezing the fruit in his fist.